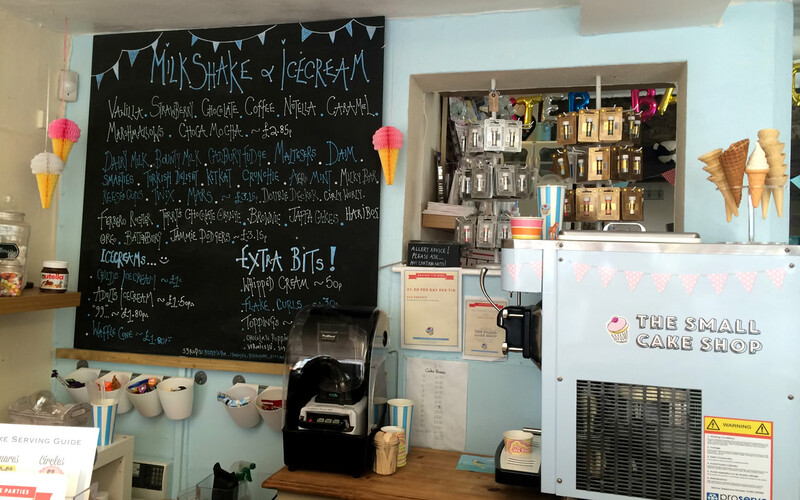 “Stop Me And Buy One” was the sign on those tricycles that pedalled around British towns selling ice cream in the 1930s, but at The Small Cake Shop here in Wincanton “Stop Here And Buy One” has been the message since we unveiled our brand new ice cream machine a few weeks ago. 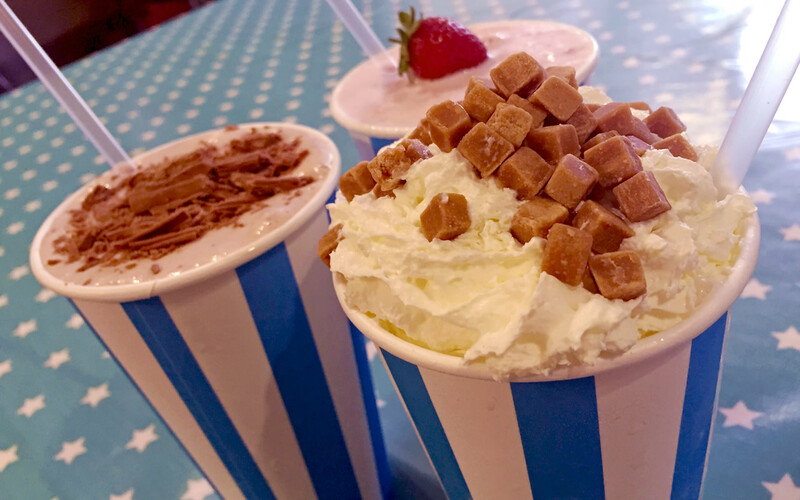 Regular customers, diligently searching for cake-craft items and gifts, are now able to indulge themselves with a wide selection of ice creams and milk shakes. Indeed, as word has got around we have also made a host of new friends after they came in and treated themselves (and sometimes their friends and family) to soft ice cream in a cone or a cup – or a smooth and silky milkshake. If you like Dime Bars our blender will add an extra touch to your milkshake to give it that Dime Bar boost – or Kit Kat, Mars or Bounty for that matter. On the other hand if you’re looking for something slightly more sophisticated you might prefer to try Ferrero Rocher. 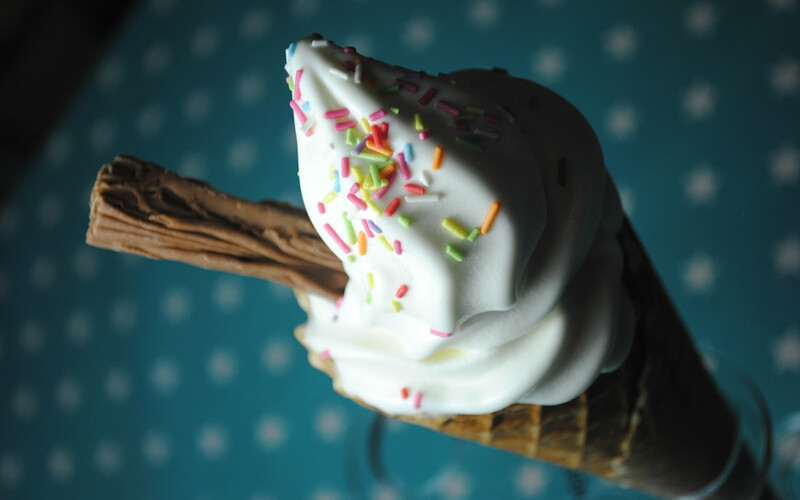 As for ice cream, those perennial favourites, vanilla and strawberry do not have it their own way. Caramel, Strawberry & Rhubarb and Apple & Cinnamon are just three of our many toppings that have attracted a lot of attention.